Japan is located on the east side of Asia, covering an area of 377,873 km2, about one twenty-fifth the size of the United States. It consists of four main islands connected by land routes. From the north, these islands are Hokkaido, Honshu, Shikoku and Kyushu. Okinawa, a remote island of Japan, is located south of Kyushu. Due to the north-south topography, there is a large temperature difference between Hokkaido and Okinawa. And because the four seasons are clearly noticeable, you can enjoy beautiful trees and flowers according to the season. 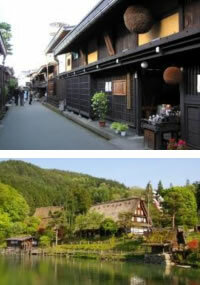 Japan's long history has produced many shrines and temples scattered throughout the country. These include structures like a five-storied pagoda, Buddhist statues, and some sites with beautiful Japanese traditional gardens. Representative cities include Kyoto, Nara and Ise. Ise, located near Nagoya, is the most famous Shinto shrine in Japan, and where Amaterasu Omikami, the Goddess of the Sun, is defied. Because of long isolation during the Edo period (1603 - 1868), unique Japanese cultural traditions developed such as kabuki, sumo and rakugo. Such exclusive cultural traditions that you can experience up close are one of the many attractions of Japan. 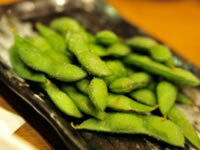 Regarding foods, Japanese cuisine offers a great variety of dishes. 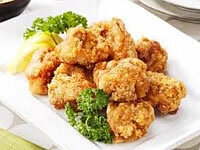 Traditional Japanese foods are usually low in calories and healthy. Ramen is a national food in Japan, and has become very popular among foreign visitors. 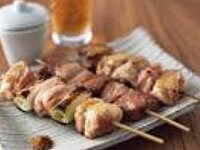 In addition, you can also enjoy various special products and local dishes from the different regions. This is another charm of Japan. For more detailed information about Japan, please visit official web site of JNTO(Japan National Tourism Organization) or Japan Tourism Agency (JTA). How about visiting ... ? Surrounded by rich nature with Northern Alps, Hida Takayama has developed the own culture that is a mixture of Edo culture and Kyoto culture, which are the totally different two major cultures of Japan. Boiled and salted soybeans in the pod. Slices of raw fish. Served with soy sauce and wasabi. 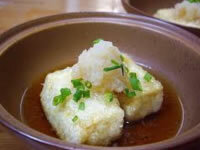 Deep fried tofu with toppings in broth. The way of drinking, hiya(means cold) or reishu (cold sake) is recommended because the flavors and aromas become more active. called "beeru" or "nama beeru"(means draft beer). Please order "nama-chu" (means middle sized draft beer) . Sho-chu : Japanese distilled beverage. * Besides there are whisky and other alcoholic drinks. 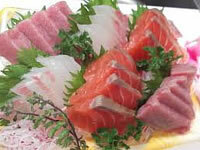 Also there are many kinds of non-alcoholic beverage on the menu of Izakaya. So please don't hesitate to visit even if you are a nondrinker.